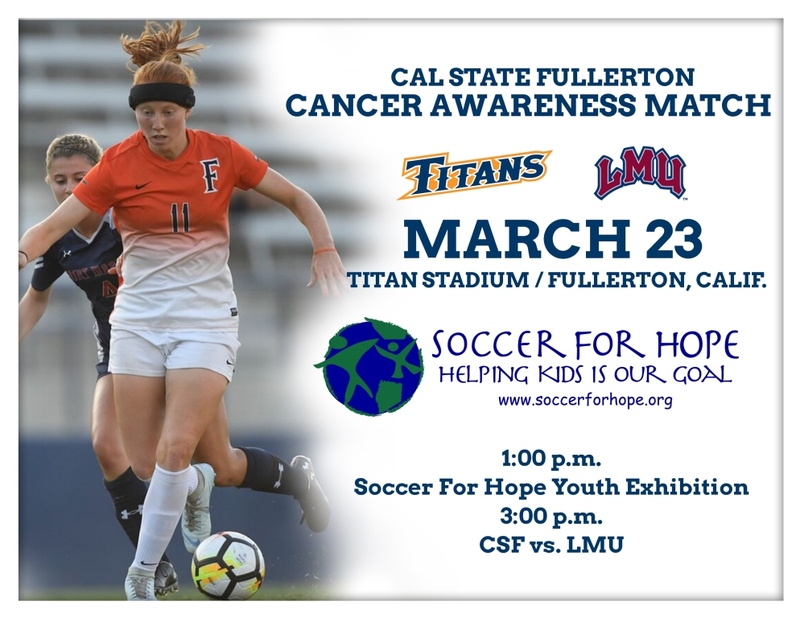 FULLERTON, Calif. - For the sixth consecutive year, the Titans will partner with Soccer For Hope, a non-profit cancer awareness foundation, to help spread cancer awareness on March 23. The organization has been driven by its goal to raise funds and awareness for children with life-threatening diseases. For over 15 years, Cal State Fullerton has supported Soccer For Hope with student-athletes participating in yearly youth camps that the organization hosts to support children and families affected by cancer.